Ashok Sonule and his family struggle every day to feed twelve mouths. 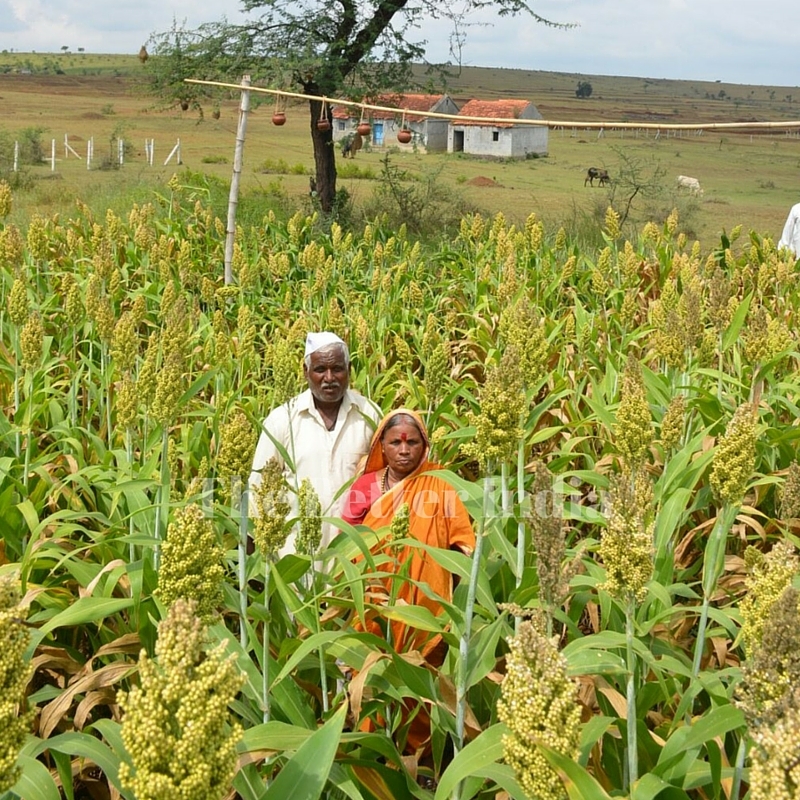 But, whereas most farmers in the vicinity have barren fields, his are lush with jowar. And what does he do with it? Leaves the entire harvest to feed birds. He has not even installed a scarecrow and ensures the water bowl is always full for the thirsty birds. In this situation, where farmers are dying because they cannot feed themselves and their families, can you imagine someone who leaves his entire crop in the field to feed birds? Yes, birds! This farmer, instead of putting a scarecrow in his field, invites birds to feed on his crop yield. Ashok Sonule is a farm labourer in Gadmudshingi village, which is about 15 kms from Kolhapur, Maharashtra. 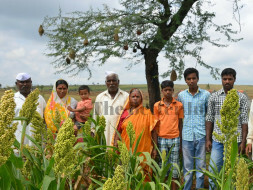 Both his sons, Prakash and Vilas, and brother Balu, also work as labourers on other’s farms in order to feed a family of twelve. The family owns a small piece of barren land, just 0.25 acres, which has never earned them even one meal due to scarcity of water. The farms near this land too hardly yield any crops. 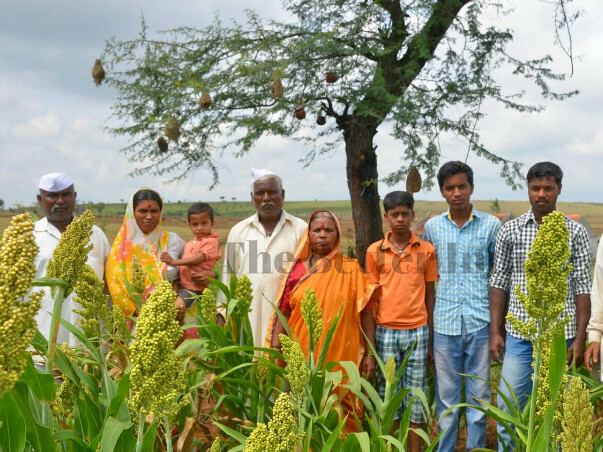 This year too, like he does every year, Sonule sowed seeds of jowar in his own land in the month of June. This year too, like in other years, he did not expect much to come of it. The severe drought in the months that followed convinced him that he was right – there would be hardly any crop to speak of. The neighboring farms too were going through the same crisis. Imagine his surprise then, when within a few months the jowar crop grew, ripened and was ready to reap. But, there was a babool tree in the middle of the farm and it was very difficult to work under this thorny tree. Ashok decided to cut the tree but, just as he was getting ready to do so, he noticed that there were many birds nesting in the babool – they were totally dependent on his crops for food as the neighboring lands were still barren. He looked at the birds chirping happily on his farm and wondered if the crop had been given to him to feed these hungry birds. Ashok then decided to take care of these birds. He also noticed that the birds did not have any source of water nearby so he, along with his family, got small pails of water and placed them around the farm and under the tree.